Next month sees a Star Wars and Finding Dory theme to the trading being released at Disneyland Paris. With four Star Wars pins being being released on 4 May, all of them limited editions to 600 they are going to become quite popular amongst the Star Wars pin trading comment so ‘May the 4th’ be with you if your going to the Pueblo Trading Post that morning. 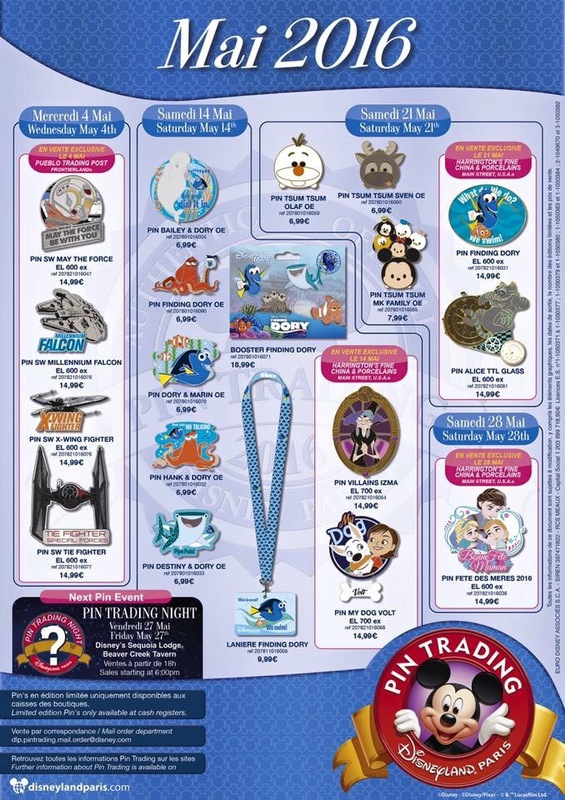 The 14 May sees a collection of Finding Dory pins and a lanyard being released and the Tsum Tsum pin collection grows on 21 May with three new pins in the series being released. The next Pin Trading event is being held at the Bever Creak Tavern at Disney’s Sequoia Lodge Hotel on Friday 27 May starting at 6pm. 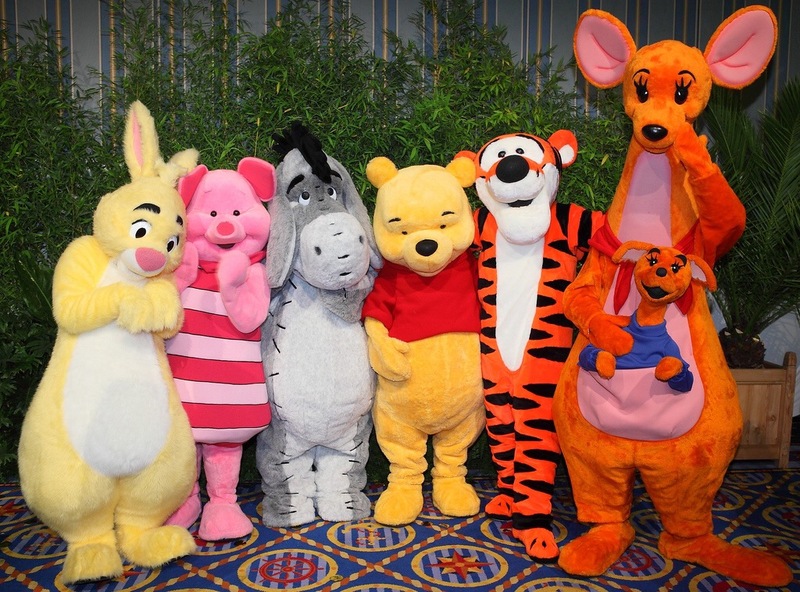 Is a Winnie-the-Pooh Meet ‘n’ Greet location on its way to Fantasyland? 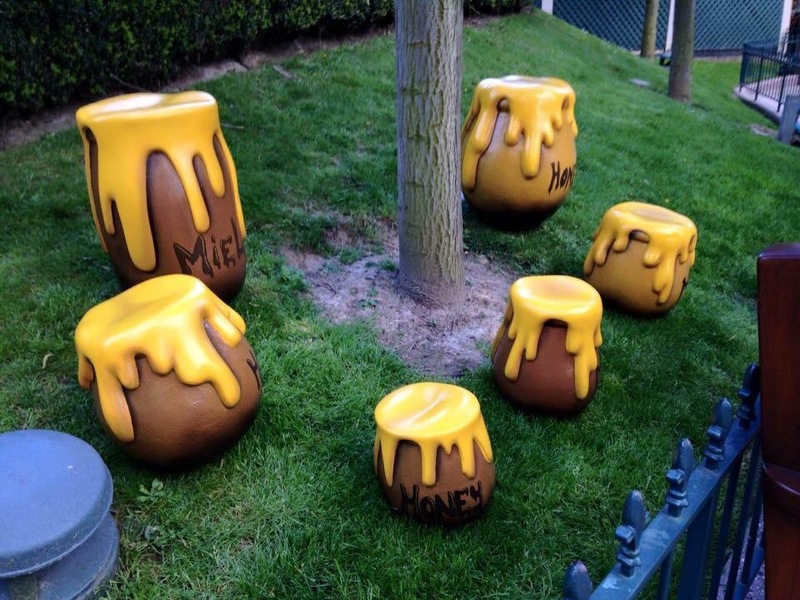 French fan site ED92 has posted two photographs today on its Facebook page of some honey pots that have appeared in Disneyland Paris near the Enchanted Tree in Fantasyland. 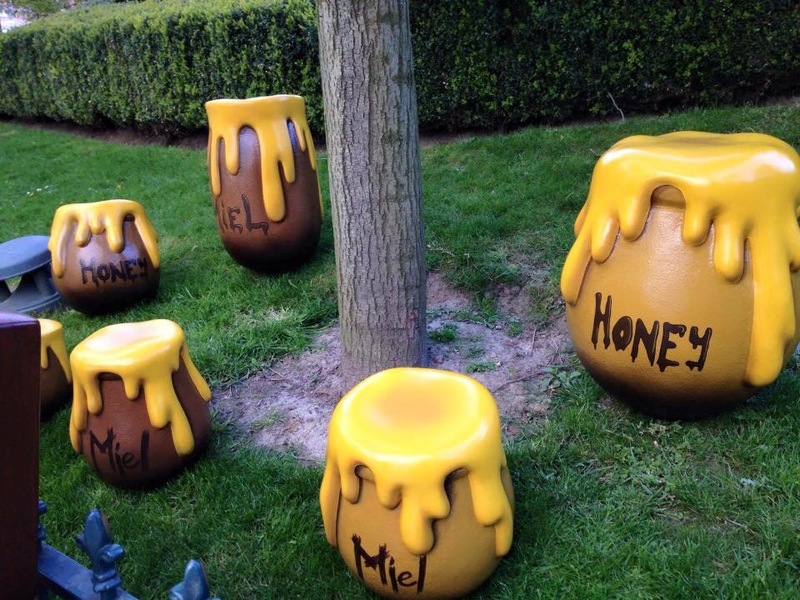 Could this be the start of the creation of a fixed Winnie-the-Pooh and Friends Meet ‘n’ Greet location in Fantasyland? Is Fantillusion returning to Disneyland Paris? Rumours are circulating that the much loved Fantillusion night-time parade is returning to Disneyland Paris for the resorts 25th Anniversary and will run from April 2017 until at least January 2018. 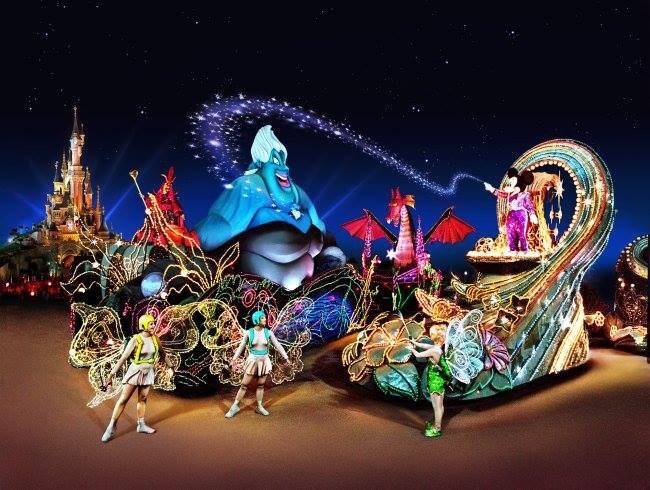 German Disneyland Paris fan site dein-dlrp.de are reporting that the new Fantillusion parade will operate on a daily basis and will be comprised of six new parade floats, illuminated costumes for almost 100 dancers and a new soundtrack. The original Disneyland Paris Fantillusion parade originated from Tokyo Disneyland where it had 31 floats and operated between 1995 until 2001. 15 of the floats were then sold to Disneyland Paris and the parade premiered at the resort in July 2003 and ran until 2007. The Paris Fantillusion parade compromised of 13 floats and ran on the traditional parade route for 25 minutes, and told a classic tale of good verses evil. The Walt Disney Company has announced today that the Disney Movie Rewards program will be closing this September. Disney Movie Rewards members have until midday on 28 September 2016 to spend their points to redeem sticker sheets, cardboard O-rings and a selection of Disney DVDs and Blu-rays. Rewards members are also being offered one free month of DisneyLife and four months half price in exchange for 300 points. On 21 June 2016 you will be able to bring home The Force with Rey, Fin and Kylo Ren as Star Wars: The Force Awakens Tsum Tsums arrive into North American and European Disney Stores. 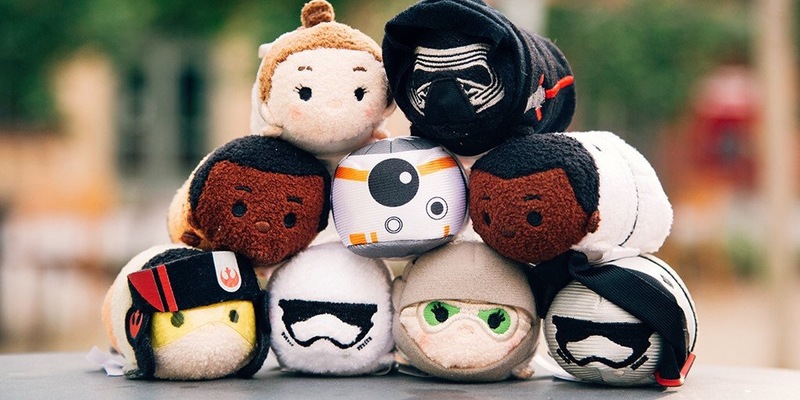 The Star Wars: The Force Awakens Tsum Tsum collection will feature nine mini Tsum Tsums, inspired by the characters from the film: Rey, Rey with goggles; Kylo Ren; BB-8; Finn Stormtrooper; Finn in pilot jacket; Captain Phasma; Poe Dameron; and a First Order Stormtrooper. There will also be a Big BB-8 Tsum Tsum and Medium Tsums featuring Kylo Ren, Captain Phasma and BB-8. The collection will first launch in Japan on May the Fourth. 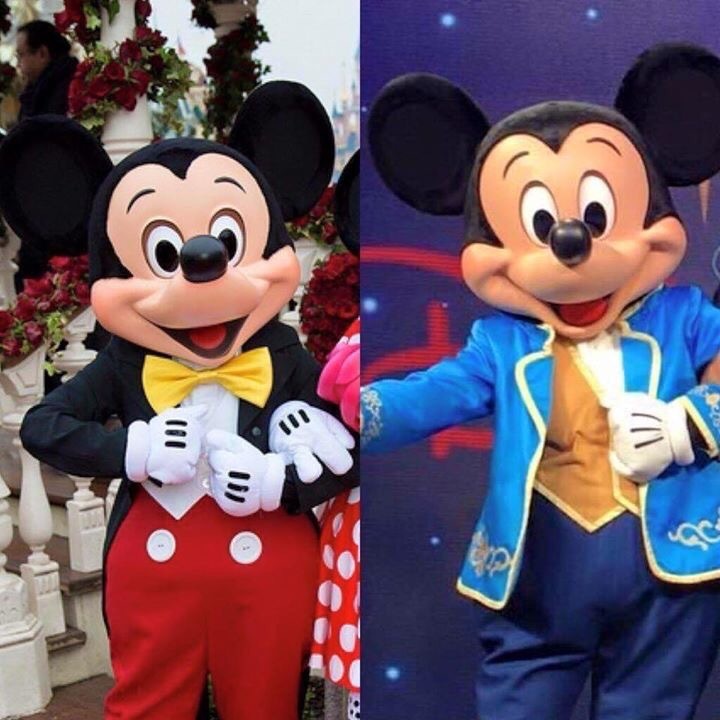 New look Mickey and Minnie Mouse debut at Shanghai Disneyland Resort. 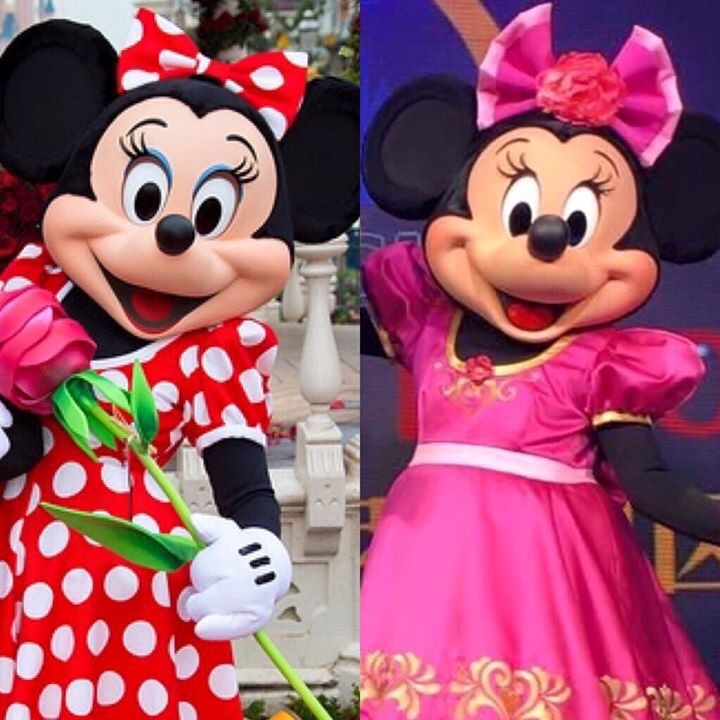 The new look Mickey and Minnie Mouse made their debut at the Shanghai Disneyland Resort this week. Here are some comparisons photographs of the old and the new to help you compare. The new style Mickey & Minnie will be be appearing at a Disney theme park near you soon. I wonder if Philippe Gas the General Manager of Shanghai Disneyland had any input in their design?